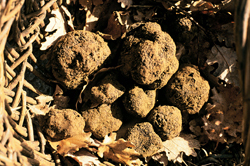 As it is mentioned in other sections of Truffes.com, the most expensive and highest in demand truffles are the Périgord Black Truffle or Black Diamond —the species which truffes.com is devoted to—, and the Piedmont White Winter Truffle. An overview on the characteristics of white truffles is included below. 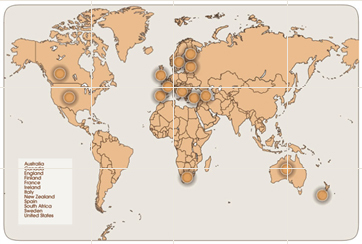 For a complete set of information on the Périgord Black visit: The Black Diamond. I left France 15 years ago for the Silicon Valley.Let me state it clearly, it's not for culinary reasons that I moved ... Food is so important to us French people! I miss so much the taste of those black truffles we grow at home! Hmmmmmm, that truffle omelette with a good bottle of Château Gruaud-Larose (it's a Bordeaux "Grand Cru"). Felt like home!!! Thank you wwww.truffes.com , thank you so much. Count on it, I'll be back soon!